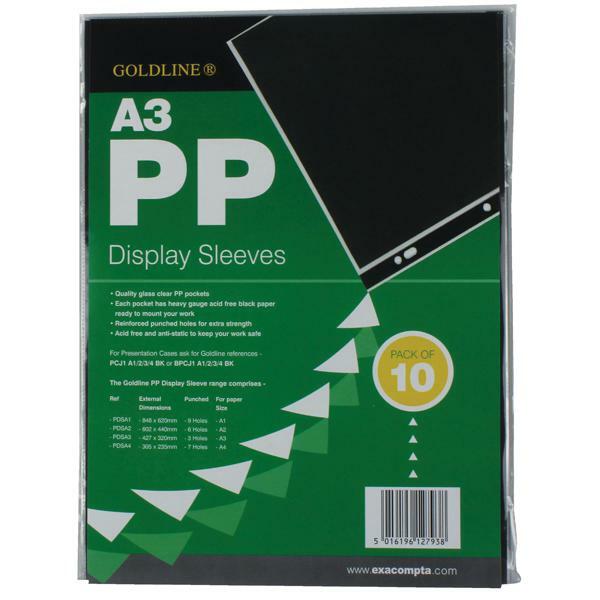 Ideal for presenting and displaying your work, these Goldline punched pockets are made from clear 150 micron polypropylene with heavy gauge, acid-fee and anti-static black backing paper for mounting. The pockets also feature a multi-punched strip with reinforced holes for filing. 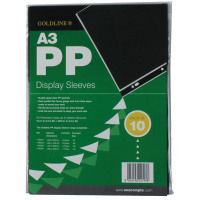 This pack contains ten A3 pockets.